Xur returns in the world of Destiny 2, but a few things about the elusive vendor are different this time around. 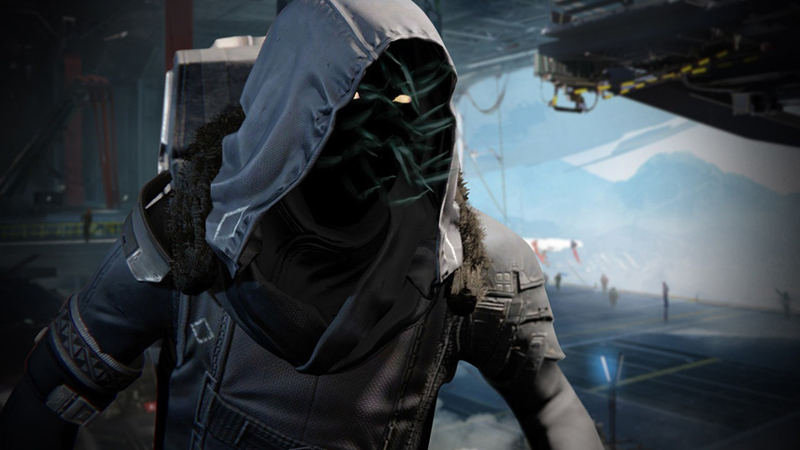 Xur is a special vendor in Destiny. His origins are unknown, but, just like the original games, Xur will return every Friday with a random assortment of items only he sells. Players look forward to his return every week, and it’s always exciting to see what he has for sale each time. When does Xur arrive, what is Xur’s location? Xur appears every Friday, beginning September 15. Like clockwork, he’ll spawn at 2am PST, 5am EST, 10am BST, 11am CEST. He leaves during the weekly reset the next Tuesday, at 2am PDT. He returns once again the following Friday with a different inventory. In Destiny 1, Xur would randomly show up at either of the two social spaces (the Tower, Reef) at one of a few pre-set locations. It only needed a couple of minutes for you to locate him, since there weren’t that many spots for him to be anyway. But, as you’ve probably guessed from reading our Destiny 2 guide – and playing the game yourself – there’s more than a few things Bungie has done differently in the sequel, and Xur is no exception. In Destiny 2, Xur will appear in one of the several Landing Zones one one of the four planets: Earth, Titan, Nessus, or IO. It will change every week, so look out for our updates every week on his location. What does Xur sell and what currency does he accept? The one thing we’re sure of is that Xur always brings Exotic weapons and armour, but Bungie could throw in a few more surprises. Weapon Ornaments exist in Destiny 2, so there’s a good chance he’ll bring a couple of them each week like he did in the first game. However, unlike Destiny 1, you won’t need Strange Coins to buy his wares. Instead, Xur accepts Legendary Shards. The only guaranteed way to get Legendary Shards is through dismantling Legendary weapons, so you should definitely stock up on a few of those. You sometimes get them from decrypting Engrams received from the Vanguard and the various factions. We’re not sure about his prices yet, but more Shards is always better than fewer. Assuming he is going to sell weapon Ornaments too, it may be a good idea to save some Bright Dust. Bright Dust is found in Bright Engrams, and through dismantling vanity items like ships, Sparrows, Transmat Effects and so on. Since Xur may choose a random Landing Zone in one of the four planets in Destiny 2, it’s best that you finish the game’s main story before going to look for him. Progressing through the campaign is how you unlock the different planets, and you won’t be able to travel to IO – for example – if you don’t have it on your Director. Every Friday, as soon as we locate him, you’ll see a story about his location as well as his inventory on the front page. Look out for those on Friday mornings, and bookmark the Xur location tag for easier access in the future. For more on Destiny 2, the mega Destiny 2 guide is only a click away. We update it regularly, but it already has all the answers for your questions.